I am a huge lover of Autumn and Winter. 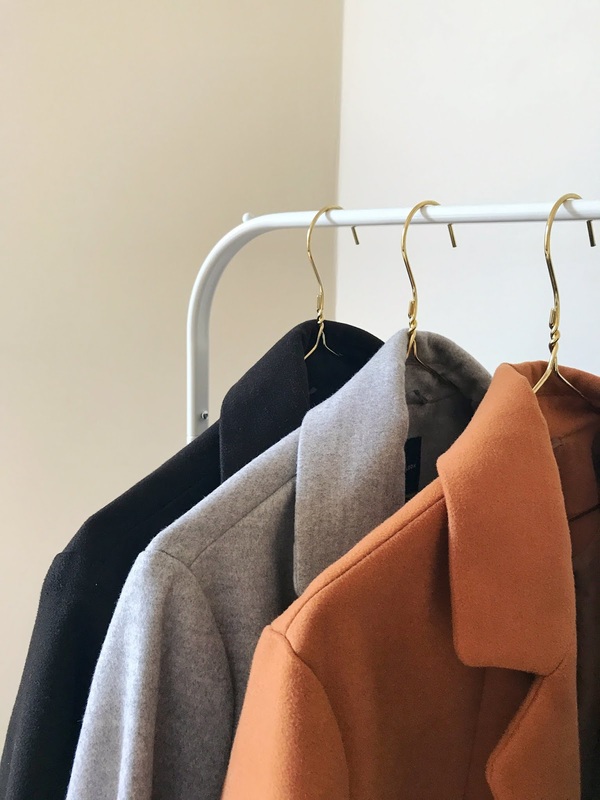 I love unpacking my warmer clothes from on top of the wardrobe and sifting through my hats, gloves, scarves and coats ready for the colder seasons. I have always been more practical and used to just stick to the big puffy parkers but in recent years have favoured a more stylish coat. I have three in the above colours that I feel go with everything but I think I need an injection of colour in my choices, so here are a few that I've had my eye on. This is the priciest one on my list but I love the length of this dark number. 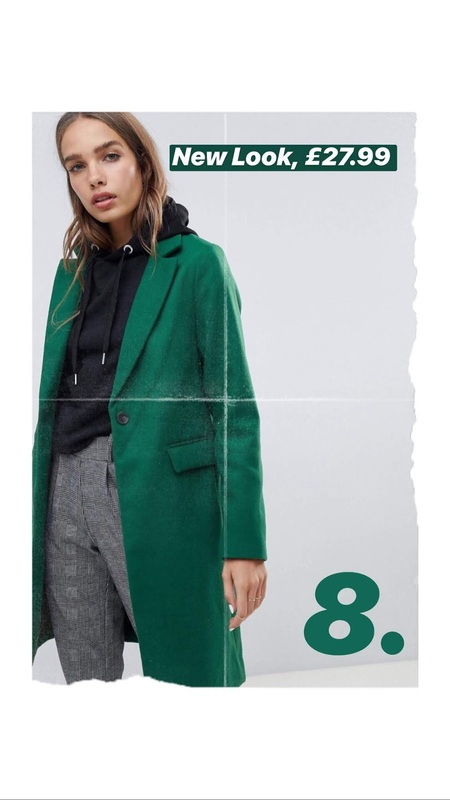 I have never purchased anything from Sézane before and I am loving there app at the moment, pray for my bank card pls. 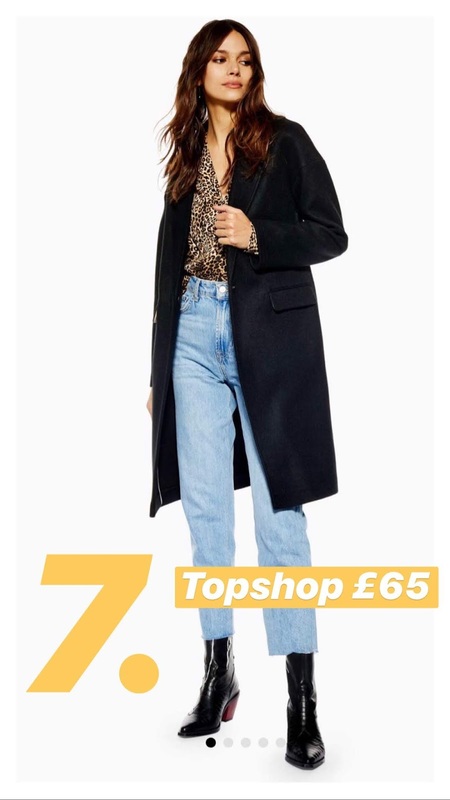 I have never had a smart coat this length before and would love to recreate this outfit, leopard print included. I am loving the new arrivals page from Next atm, and this coat is no exception. 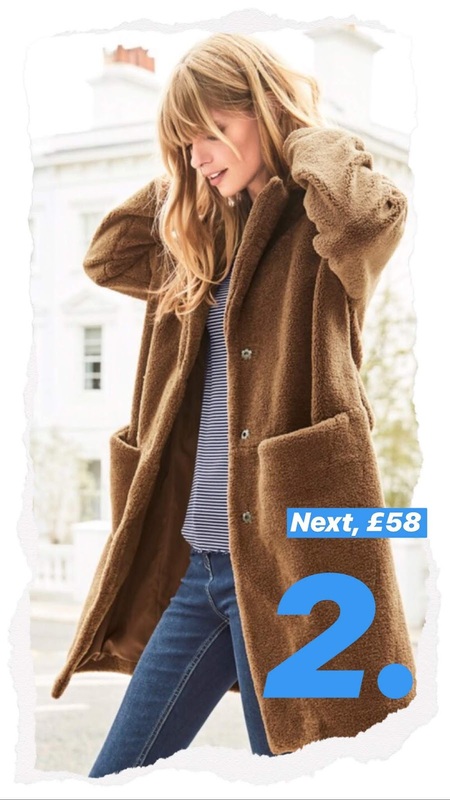 I won't lie, I'm not the biggest fan of the Teddy Coat trend but I love that this one is slimline, longer and not as puffy. It looks so cosy and I could definitely see myself wrapped up in it on a windy day. 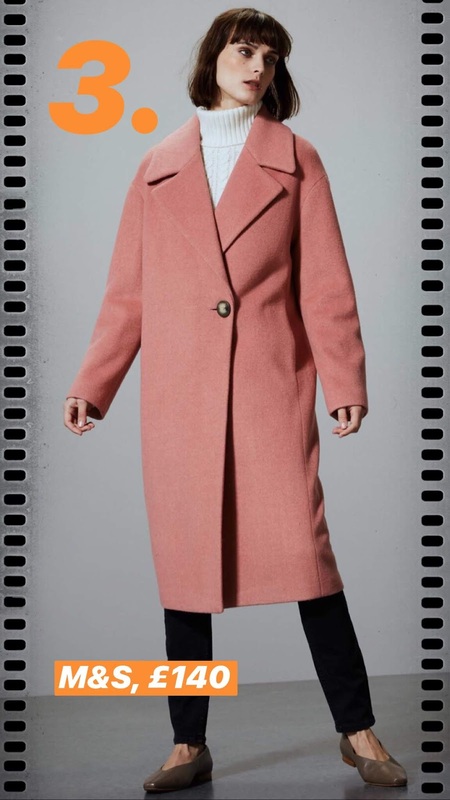 How cute is this pink coat? Before I would have said this was a brave colour for me to wear as I only tend to wear dark or neutral colours, but when it comes to pastels I always look to Kate La Vie as that gal has styling pastel coats down to a tee. Maybe I need to invest in a beret to complete the look? This is one of my faves. 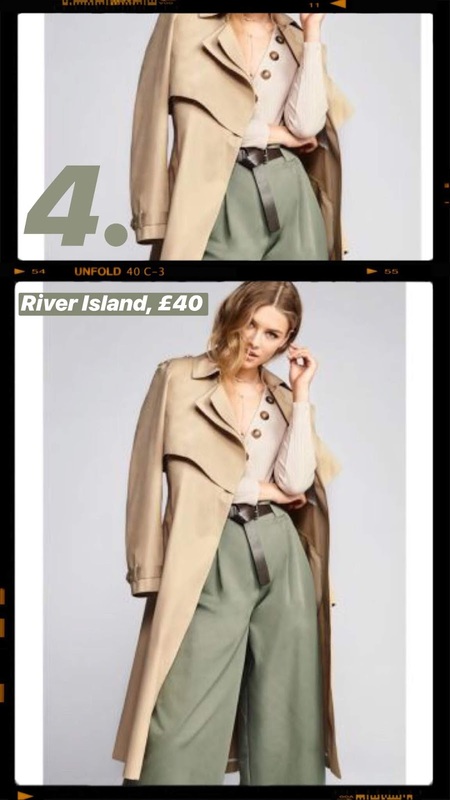 A gorgeous trench style coat from River Island. 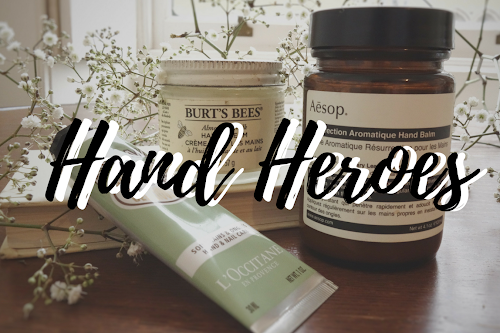 Perfect for those sunny winter days paired with boots and sunglasses. It's also on sale, get in. 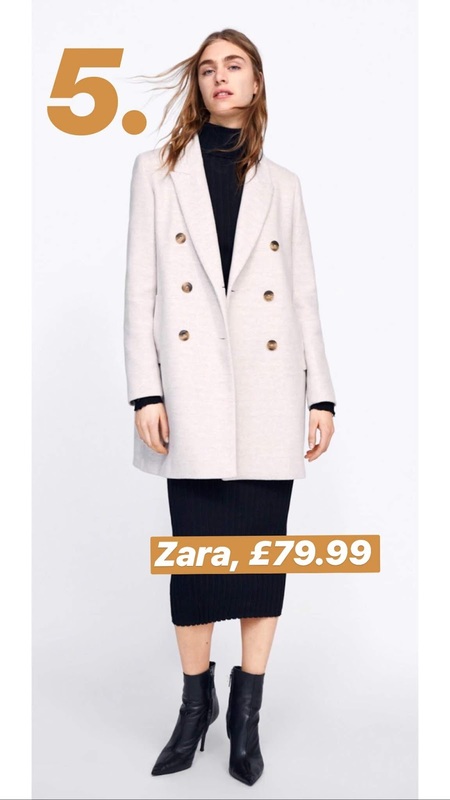 I am loving this blazer style coat from Zara, it's definitely a piece thats missing from my wardrobe. I love blazers love the combination of a blazer style coat. Hopefully this also comes in black. As I mentioned before, I love a good classic winter coat in the form of a warm, practical parka. 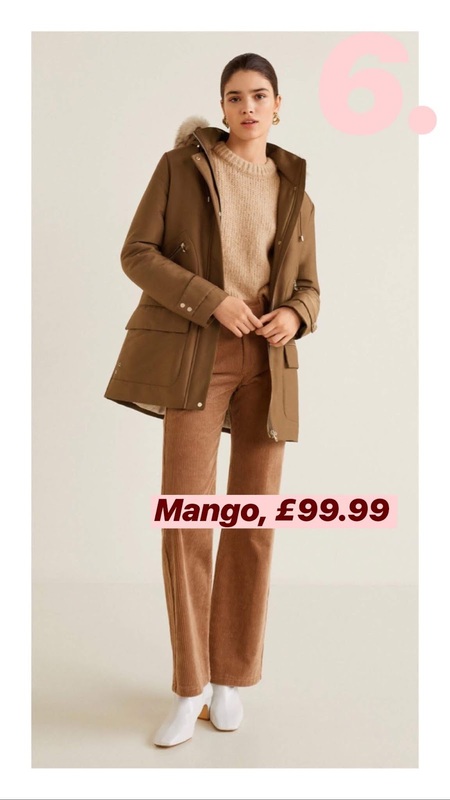 I love these style coats as I am always cold, I don't think my body temperature goes above 5 degrees unless I'm in a warm climate, and even then it's not guaranteed. This one is perfect, I am loving the earthy colour and the gold details. These style coats are my favourite. 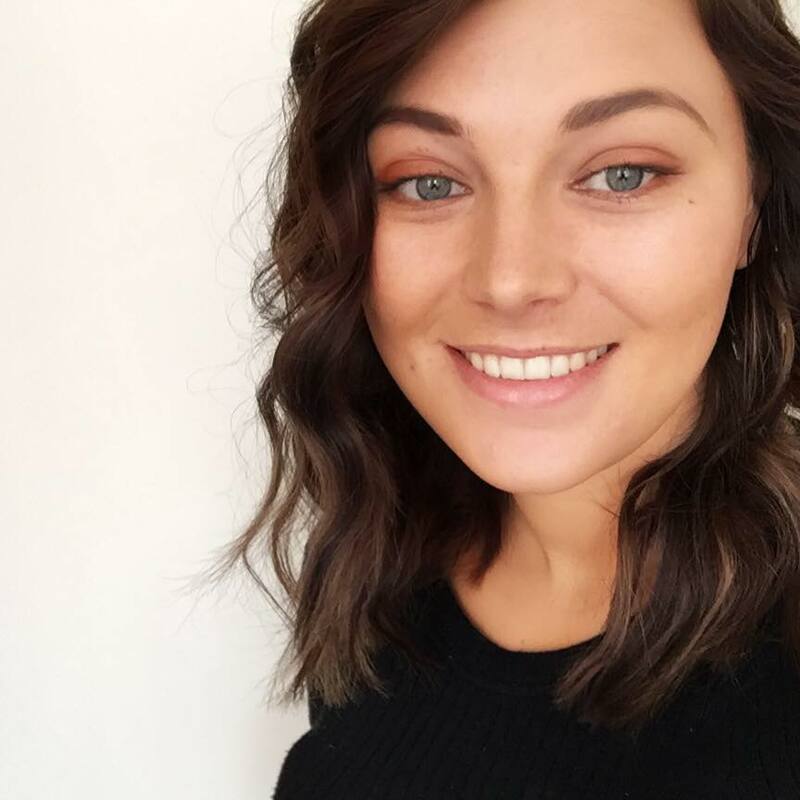 The classic cut is simple and minimal and makes any outfit look put together and polished whether it's paired with trainers or a smarter shoe. Look at that colour! - insert heart eye emoji here - Another colour I would class as brave for me but lately I am so drawn to these bold-er colours (bold for me that is). I would love to pair this with black jeans and leopard print boots. I have recently discovered my nearest COS store in Liverpool and my husband had to drag me out. How chic is this belted number? 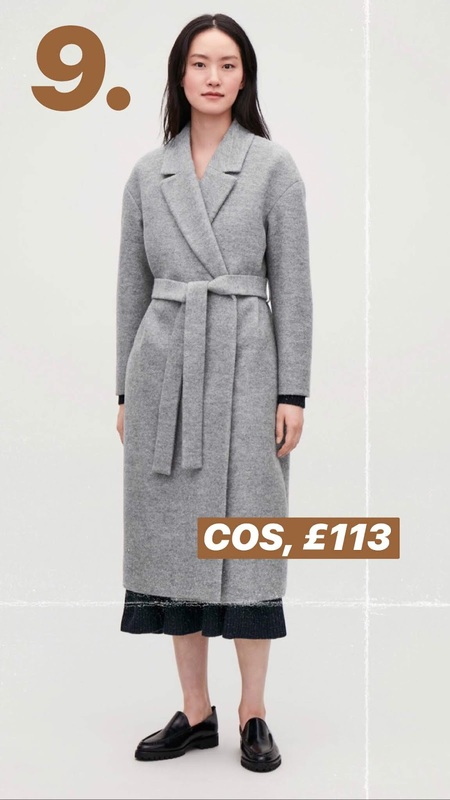 I would definitely love belting myself up in this against the cold. Are you a fan of any of these?